DuraEdge has revolutionized the infield soil industry since coming to market in 2006. 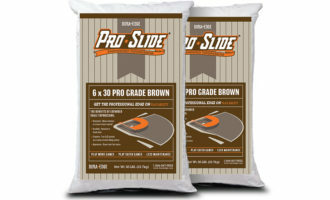 And now, we’re really excited to offer the complete line of DuraEdge soil products to our customers nationwide. 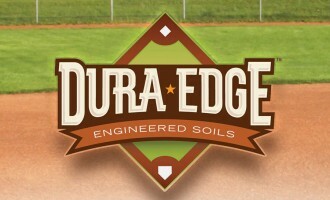 We love DuraEdge because of their hard-driving quest to find innovative solutions for the infield soils industry. 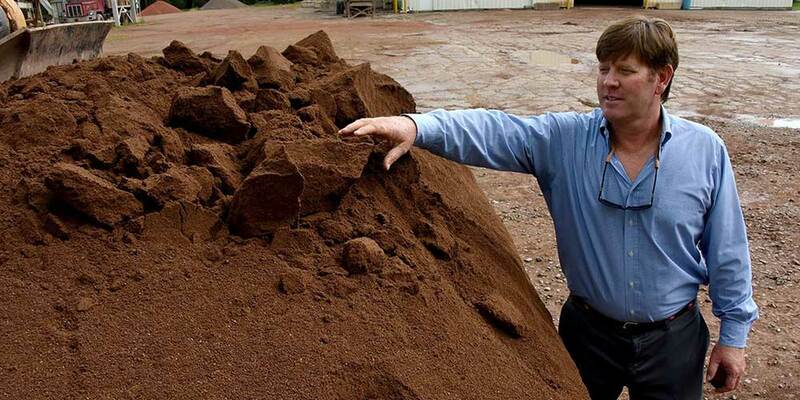 DuraEdge President Grant McKnight (shown above) is the mastermind behind their innovative products. His intense desire to find groundskeepers solutions for their infield soils is based in science. These solutions are able to be qualitatively and quantitatively tested, verified and then replicated exactly — no matter where the soil product is produced. 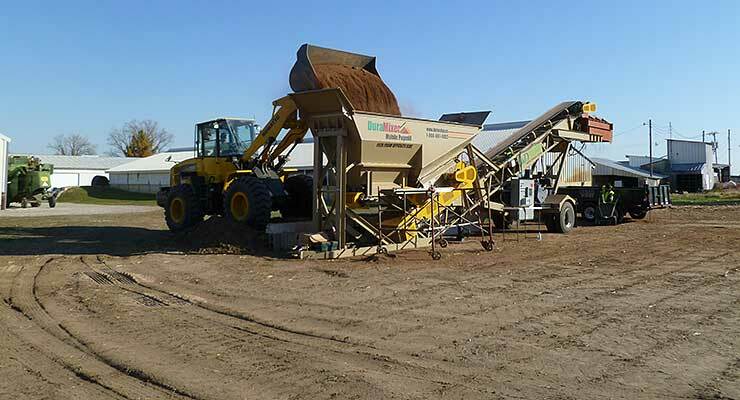 Back in the 1990s, Grant’s family owned a sand plant. More specifically, they were in the business of designing concrete and asphalt mixes. Grant would go on to later purchase the business from his father when he was retiring. He then proceeded to make an attempt selling their sand for golf greens. Penn State’s Andy McNitt became Grant’s mentor in teaching him the physical properties of soil. As time went on, Grant struggled with the golf industry. Then one day, an old-timer in the business suggested he try making infield soils instead — something Grant knew absolutely nothing about. But in the early 2000s, he searched for standards for infield soil recipes and found very little information. Grant quickly realized he would have to start from scratch. 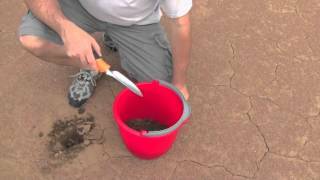 It was then he set out to develop tests and processes for developing and evaluating infield soils. 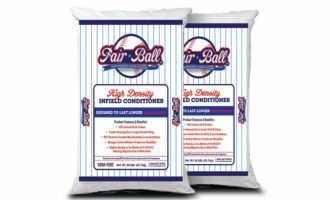 Now up to this point, infield soils that were sold in the U.S. were usually soils that were harvested and screened and labeled for sale as infield soil. There was NO science involved in the process. Grant’s persistence in constantly testing and developing the best way to manufacture consistent, high-quality infield soils paid off. After much blood, sweat & tears, DuraEdge infield soils were born. The key was once he found an effective soil formula, he needed to ensure he would be able to make the soils exactly the same, time after time. So Grant designed and constructed a mobile blending plant called “the DuraMixer” that allowed him to replicate the exact same infield soils anywhere in the country. That consistency was absolutely crucial to DuraEdge’s success and was truly a revolutionary concept in the infield soil industry. Within a few years, DuraEdge soils had quickly found their way into more than half the MLB ballparks, as well as many of the Minor League fields. 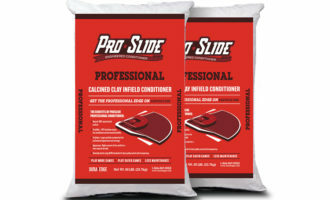 Today, DuraEdge is in all but a handful of MLB parks and the product is in demand from pro ballplayers due to its performance during games. DuraEdge soils are now used at all levels of play — from Little League all the way up through the pros. But Grant didn’t stop there. He is certainly not one who rests on his laurels. Once DuraEdge had perfected infield soils, focus turned to mound clays, expanded shale infield topdressings and, now to calcined clay infield topdressings. DuraEdge strives to create the best products possible that provide the biggest benefit to the baseball and softball groundskeepers. And it’s all guided by science, research and testing to back up their claims. Grant is so very transparent with his testing and makes the results available in his marketing materials and website. He hides nothing. And, that more than anything is why groundskeepers everywhere have grown to love DuraEdge and their products. You get top-quality materials — no smoke, no mirrors. So what does Grant see as the biggest challenge ahead in the soil industry? He sees it as figuring out how to stem the tide of the 1,000+ American ballfields converting to artificial turf every year. 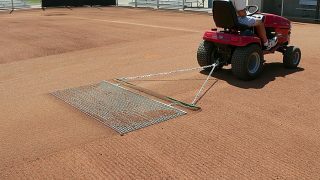 Knowing the challenges of maintaining infields is a big part of that, you can bet he is already working on a solution. Beacon and DuraEdge are very similar. We have both carved out a niche in the baseball and softball world and we strive to develop and provide innovative solutions that provide answers for the challenges of modern day groundskeeping. 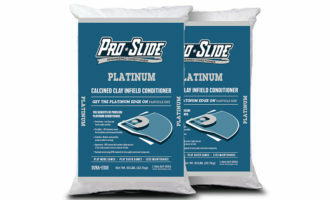 We’re proud to provide their great products, knowing this will help many of our customers nationwide. The Beacon-DuraEdge partnership is making a difference. 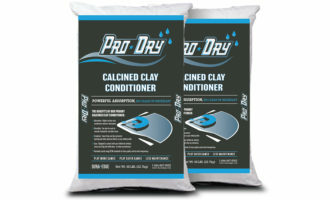 Why Using Cat Litter as a Drying Agent is a Bad IdeaHow to Choose Calcined Clay for Your FieldCalcined Clay vs Expanded Shale: What's the Difference?